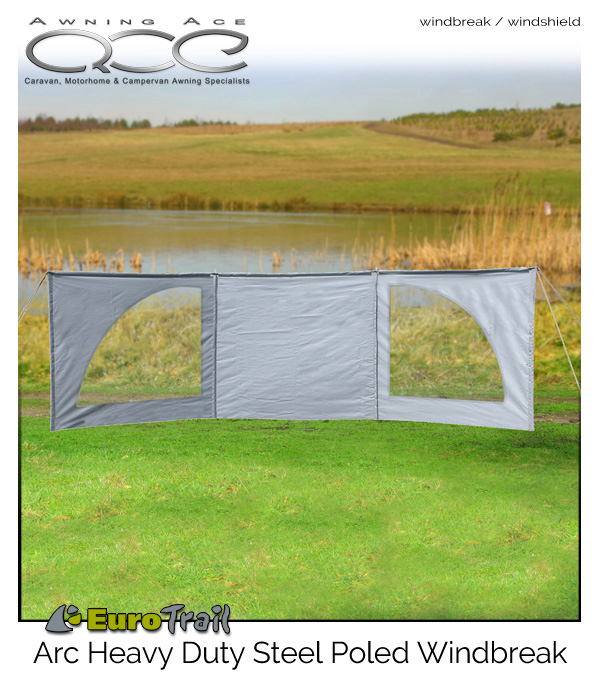 Add a touch of luxury and privacy to your camping experience with the new EuroTrail Arc Windbreak. Constructed from strong steel upright poles with three horizontal steel top supports, the Arc is extremely stable and very durable. 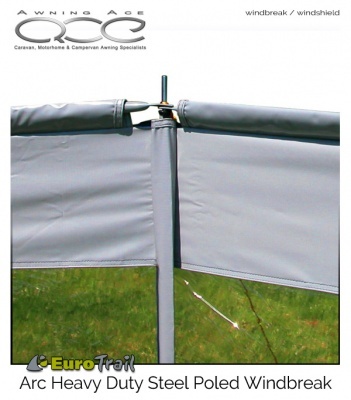 Three panels span a 5m length with a standing height of 1.5m making the Arc useful when camping, at the beach or even in the garden. Made from a tough cotton/polyester blend in a neutral grey colour scheme, the EuroTrail Arc weighs a little under 7.5kg and packs away into a compact storage bag. Both side end panels have an attractive acred window and the windbreak is secured with the adjustable guylines provided. 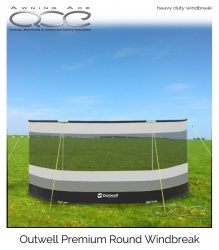 Premium Round windscreens have a freestanding design to extend pitching options combined with durable fabrics and components to ensure a long life. Taking up little space when packed away offering flexible shelter and privacy that can be moved quickly and easily to suit changing conditions.